A while ago, I posted about a system I used to separate our flatware (Click here to view it). 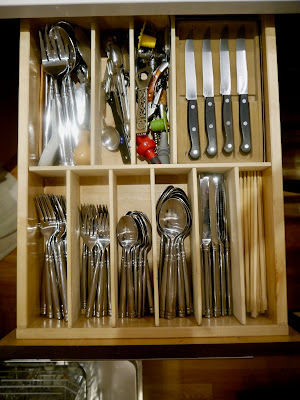 It worked well for a while, but because flatware is heavy, the dividers ended up moving and tilting. 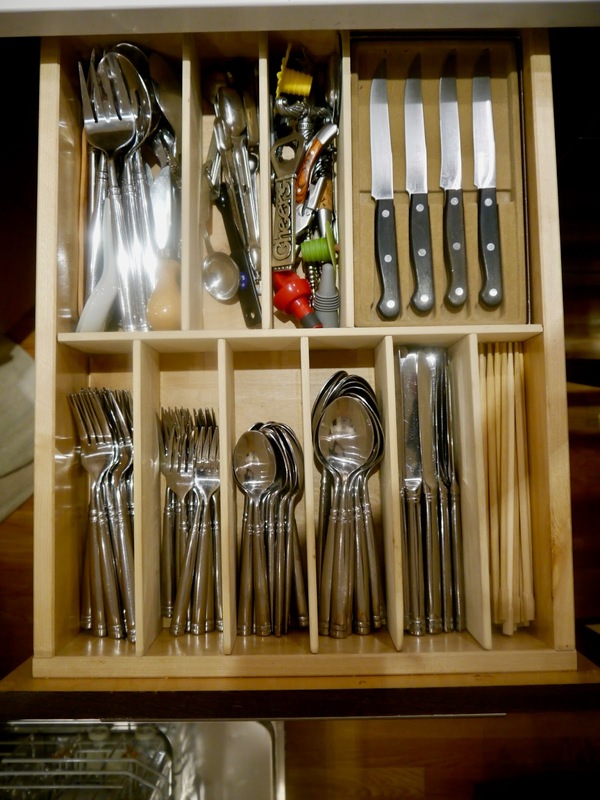 I wanted a permanent solution that would nicely compartmentalize the flatware and cooking utensils. A local handyman who has as many great ideas as MacGyver came up with the perfect solution. He cut a thin sheet of plywood that could tightly fit into the bottom of the drawer. Then using a wood strip as a divider, he applied glue to the edge that would be on the plywood, placed it on the plywood and nailed it in place from the bottom. He repeated this process until we had the right number of compartments. After this, he placed the whole piece into the drawer. 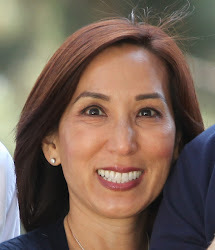 The result is outstanding! The flatware is nicely separated, and the dividers stay in place! Every time I look into this drawer, I feel just a little happier to have everything organized and aesthetically pleasing! Book Review: "The Last Tudor"